I know February is supposed to be a short month but it went away too fast. I am thinking its barely February 15 and March comes knocking again. 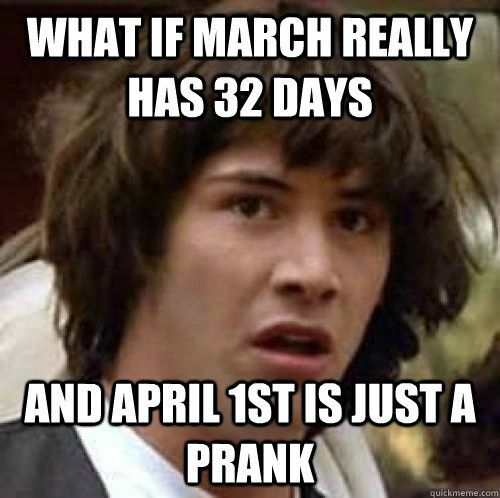 Task for this month: Post a picture, song, poem, joke, anything that has the word "march" in it or in any way relates to march. 5 points for signing in, 5 for completing the task. Have you ever seen a rubber band march? 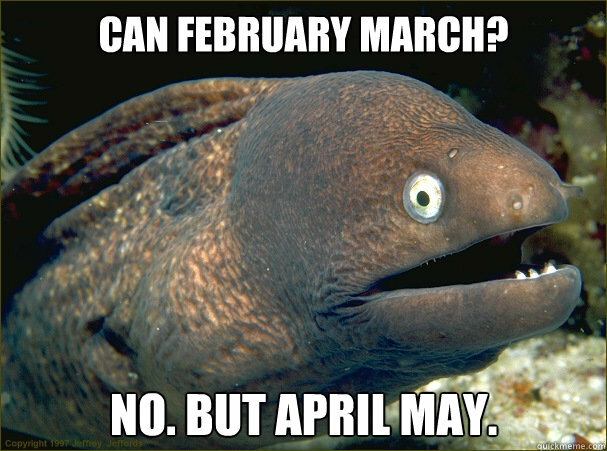 ;) Punny! Oh and hi, signing in! I'm not Gaius Julius Caesar, so I'm not afraid. Now that you mention it, I just realized that the Dutch elections are on the idus of March! Cuz most of you folks proudly American, you'll probably have no clue who the March Hare is. Damn I just ruined my joke. The ants to marching one by one hurrah hurrah. We started with ten when my siblings and I were hiking one time, and went all of the way up to 10. We ended with "The ants go marching 10 by 10 and we're never singing this song again. Figured I'd unpin this. Or are we still taking the effort of looking who gets points for posting here?